You know what's harder than choosing a costume for Halloween? By this point in mid-October, my kids are whipped into a fun-sized frenzy. Costumes are paraded nightly, and their merits debated. Halloween classics are read (the Great Pumpkin feels less offensive in print), Halloween-themed TV shows are watched (our family favorite is the The Backyardigans - It's Great To Be A Ghost). At least three times every day, someone asks me, with an exasperated sigh, "Is Halloween tomorrow now, Mommy?" But fear not, gentle parents. I have a solution. 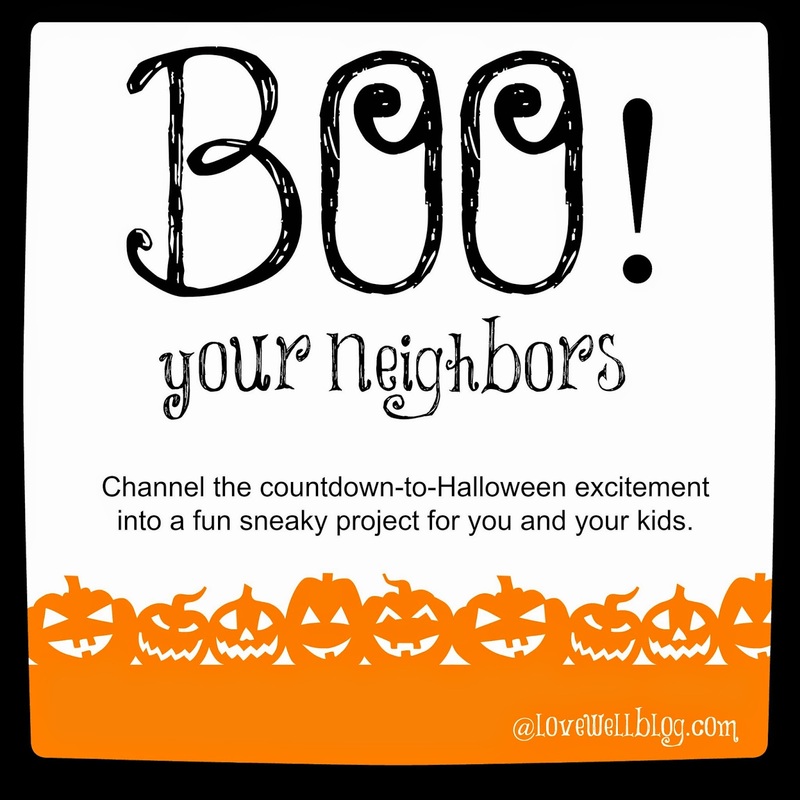 Channel that pent-up energy and Boo Your Neighbors. Under the guise of darkness, choose two of your favorite neighbors (preferably those with kids, but I imagine kids of all ages would enjoy this). 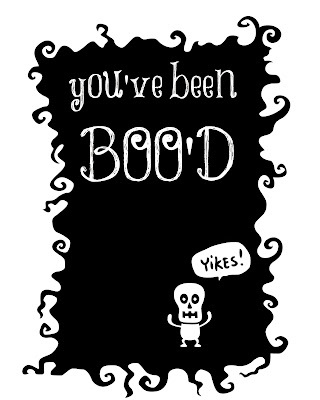 Quietly creep to their doorstep and leave a bag of treats*, a You've Been Boo'd sign and an explanation of the game. (Both are below.) Try not to giggle as you sneak away. 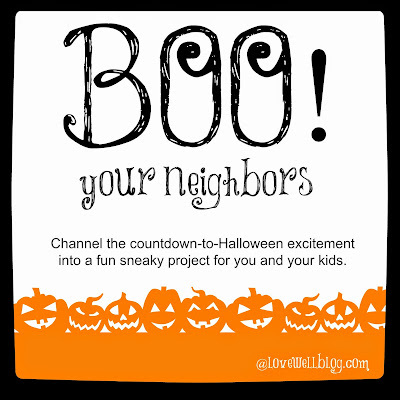 And then watch and wait, as Boo signs mysteriously show up all over your street between now and Halloween. 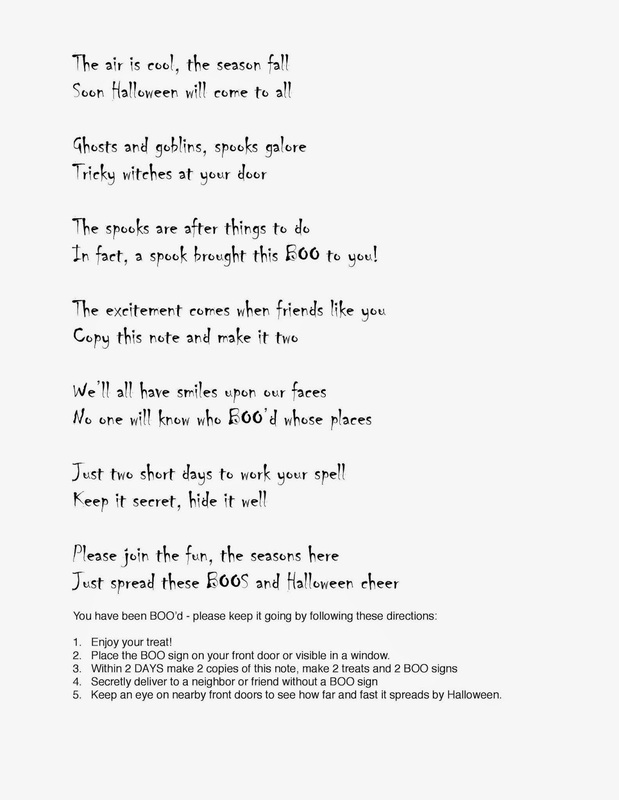 It's like a chain letter - only with candy instead of a curse. 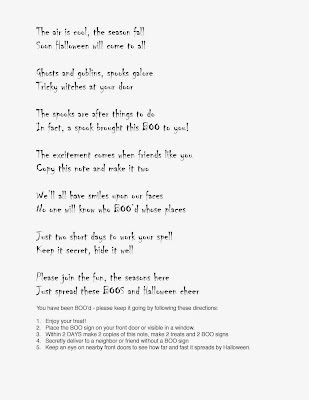 You can download PDF's of the the Boo sign and game explainer below. Or make your own! Use some more of your kids fevered excitement and let them go with markers. *We all know you have an open bag of Halloween candy in your house right now. It's OK. No shame.